Alright, parents. Your kid wants a new gaming console, but you’ve got some questions. Don’t panic just yet. We’re here to address the biggest concerns you have during the harrowing ordeal of buying your child an expensive gaming gadget. Here, we’re addressing some of the biggest issues that you, as a parent, will have before you buy a console for your kids. We’ll break down each question on a per-console basis because, let’s be real, your kids probably already have a preference. 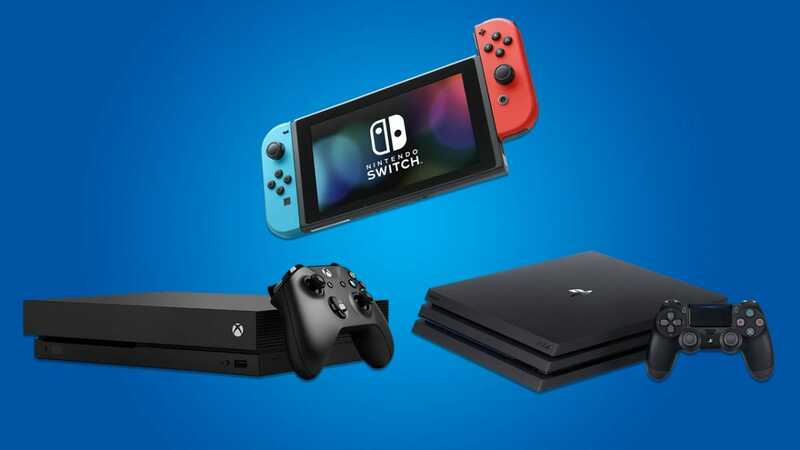 If you’re just curious about the basics of each console and how they stack up to each other, check out our previous buying guide comparing each of the latest generation of gaming machines. Can the Family Play Together With It? The Switch is a little less sharing-friendly. Especially on road trips. Most consoles sit in the living room where the whole family can play with it. Not every console is good at sharing, though—especially now that the Switch has entered the scene. We looked at two main aspects when judging how family-friendly a console is: How easy it is to share, and the quality of local multiplayer games. The Xbox One has a handy feature that lets you link a controller to a player profile. This means when your kids pick up their controller, they’ll automatically be playing their own games and won’t overwrite each other’s progress. This should stave off a few fights. (So if it keeps the peace in your house it’s must-have feature all by itself.) You can also share games with other players on the console. If you buy a game from your account, your kids can play no problem. When it comes to family-friendly games, however, the Xbox One doesn’t have much of an advantage. It has many of the same games that are available on other platforms like the Lego series, Minecraft, and Skylanders, but the platform has never been known for family titles. If you’re interested in family-friendly games, the Xbox One has a few to offer, but not much beyond what you could get anywhere else. Like the Xbox One, the PlayStation 4 supports multiple profiles on a single console. You can’t link a controller to a profile, but you can choose who’s playing when you start up the console, similar to how Netflix profiles work. It’s slightly less convenient, but it’s something. As long as each person plays on their own profiles, they shouldn’t overwrite each other’s game saves. You can even share games between accounts on the same console. Also like the Xbox One, most of the PlayStation 4’s family-friendly games come from third-parties and they’re not exclusive. You can get Minecraft, Skylanders, and most of the same Lego games. You’re better off looking at other factors to determine if the PS4 is right for your family. When it comes to sharing consoles, the Switch can’t quite decide what it wants to be. You can add multiple profiles to a single Switch and share games, but that only gets you so far when the Switch is also a portable console. 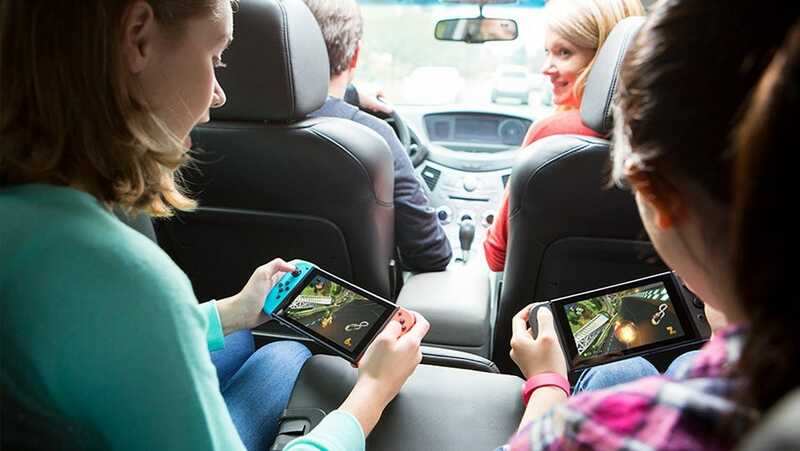 Your kids might not overwrite each other’s game saves, but they’ll still complain that their siblings are hogging the console in the back seat on long car rides. Some games like Mario Kart 8 even make more sense when you have multiple consoles. You can only play with up to four players in local split-screen, but up to eight players can race head-to-head if they each have their own console. Even two-player races make more sense when you have separate consoles. Sure, you can each take half of a Joy-Con controller and play in a peripheral vision-destroying horizontal split-screen, but it’s way more fun if each player has their own full screen and full controller. That’s not to say you have to buy an individual Switch for every kid (that would get expensive), but expect a little friction if you want the whole family to share one Switch. While it may be more annoying to share a Switch than another console, you make up for it with a ton of exclusive, family friendly games. Super Mario Odyssey, while mostly a single-player game, features a rudimentary co-op mode. The Switch also offers great games like Mario Kart 8 Deluxe, Pokken Tournament DX, Splatoon 2, and Mario + Rabbids: Kingdom Battle, on top of the platform-independent mainstays like Minecraft and Skylanders. On the flip side, the Switch has no backwards compatibility and third-party games are still coming down the pipe. You have a smaller library to work with on the Switch overall, but you have a much higher chance of finding unique, family-friendly games on this console than the others. How Are the Parental Controls? Finally, they recognize that kids and teens need different levels of controls! Your kids are curious and if you don’t keep an eye on what they do with their internet-connected game system, they could stumble across some awful stuff. Each console handles parental controls a little differently. Here’s how they break down. Microsoft’s parental controls allow you to give each kid their own profile (while your own profiles remain locked with a passcode) and set which apps they’re allowed to use. You can block certain apps, games, or social networks, filter content by age rating or blacklist (or whitelist) websites in the browser, and even block purchases unless the child gets permission first. You’re can also block messaging or online multiplayer if you don’t want the kids talking to other people just yet. You can customize all these settings based on who’s using the console, so each kid is only watching and playing age-appropriate content. Arguably, the most important way you need to control your kids’ gaming time is how long they play. Earlier this year, Microsoft added a new Screen Time feature to help with this. With this, you can set a schedule for when kids can play (say, between 3PM and 7PM), how much they can play each day (say, an hour each day), and even which days they’re allowed to play (say, Monday through Saturday). Once the kids use up their allotted time or reach the end of gaming hours, the console will cut them off. The PlayStation’s parental controls use separate accounts for each child to block content. Adults lock their own accounts behind passcodes so kids can’t get in and bypass the filters. You can block apps and games, limit your kids to age-appropriate content, and prevent them from messaging other users or playing online with strangers. Sony doesn’t have any kind of time limiting feature, which is disappointing. However, it does have a monthly spending limit, which is both unique to the console and very handy. Each month you can give your child an allowance they’re allowed to spend on anything in the PlayStation Store (within their age restrictions). They can use this to buy games, rent movies, or even spend on in-game currencies. Not only does this help you make sure the kids don’t overspend, it gives them a tool to learn how to budget a small amount of money for themselves. Without a web browser, only one streaming app, and relatively underbaked online features, the Switch doesn’t have as much content that needs filtering—next to zero-online interactions has always been Nintendo’s approach to keeping things kid friendly. However, Nintendo still offers robust parental controls that you can set up and monitor from an iOS or Android app. You can block age-inappropriate games from being played using your kids’ profiles and restrict them from sharing screenshots or game recordings on social media. Is This Console Gonna Last? The very last thing you want to find out after dropping hundreds of dollars on a new console is that there’s a new version coming out six months down the road. In most cases, you’ve picked a good year to upgrade, but the longest-lasting consoles are still going to be the most expensive. The Xbox One S is a slight upgrade to the original One X. Microsoft and Sony are, for now at least, pursuing a more iterative upgrade cycle where they roll out new, more powerful versions of the console without breaking compatibility with older versions. The Xbox One S is the first step in Microsoft’s version of this plan. It’s largely the same as the original Xbox One, but with a 4K Blu-ray player built in, and the ability to stream 4K movies. Meanwhile, the Xbox One X is a massive power upgrade over the original Xbox One. In addition to 4K video, it can render games in 4K HDR. Despite the upgrade, it’s still compatible with all Xbox One games, as well as the backlog of Xbox 360 and original Xbox games that Microsoft has added to its backwards compatibility list. Both consoles came out this year, and the One X only just launched in November. 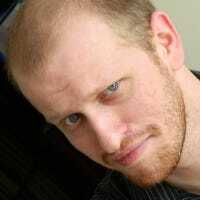 It will be several years at least before Microsoft creates a new console. 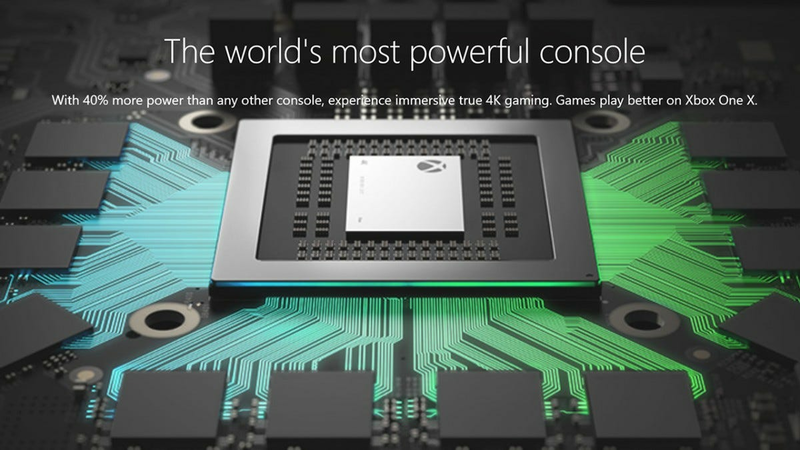 When it does, Microsoft has said it wants to keep releasing consoles that will be more powerful than the old version, but won’t break compatibility and require new controllers, accessories, and games. For now, if you buy the One X, you can rest easy knowing you won’t have to upgrade for the foreseeable future. The Xbox One S, on the other hand, is only a long-lasting upgrade if you won’t care about 4K gaming for the next few years. The PlayStation is in a similar boat as the Xbox. On the low end, Sony has the PS4 Slim, which is basically the regular PS4 in a slightly smaller package. Unlike the Xbox One S, Sony didn’t add any new features to its smaller console. If you buy a PS4 Slim, you’re essentially getting the same console that came out in 2013. In other words, it has a higher chance of needing an upgrade in the near future. However, the first possible upgrade for it is already here. The PS4 Pro is capable of 4K gaming and it can stream 4K video from places like Netflix, making it more future-proof than the Slim. Bizarrely (because Sony led the pack with regular Blu-ray players in the PS3) it can’t play 4K Blu-rays, which leaves obvious room for a future upgrade, but if you can live without the discs (or have an external 4K Blu-ray player), then the PS4 Pro should hold you over for a while. Sony has been less forthcoming about its plans for future consoles. It would make sense for Sony to follow Microsoft’s lead and release iterative consoles, rather than break compatibility and launch entirely new platforms every eight years or so. The PS4 Pro seems to be a step in that direction. If you want to make your purchase last, the Pro is going to be your best bet, though you can go with the Slim if you won’t care about 4K gaming or video for a few years. The Switch is brand new and Nintendo is rolling hard with it. Unlike Sony and Microsoft’s consoles, the Switch doesn’t even come close to 4K gaming quality and it never will. Instead, Nintendo is focused on making console gaming work on a portable handheld. Instead of games being made with the future in mind, older games like Skyrim are being downgraded to run on the Switch’s already-outdated hardware. That doesn’t mean you’ll have to upgrade any time soon, though. Nintendo seems perfectly content with limited hardware as long as the games are fun. Frankly, we’re fine with that, too. In five years or so, the Switch will probably feel as underpowered as the Wii was towards the end of its life. If Nintendo can keep that stream of excellent games coming, though, we’ll probably forgive it. For now, though, it’s a great time to buy in. While iPads are still a way off replacing computers for everyone, they are incredibly capable devices. With the right accessories, you can turn them into a really powerful part of your workflow. Here’s our favorite picks for enhanced productivity.